North Node Axis in Taurus – The Southern Node in Scorpio and the North Node axis in the Second House – The South Node in the Eights house. The Southern Node in Scorpio makes you to be attracted to secrets, occult sciences, to be secretive, to want isolation, to have certain talents hidden from the eyes of the world. Do not expect too much help from husband, family, and inheritance; on the contrary, you may have all sorts of bottlenecks and you will have to share with others. Then you look at the ruler of the sign of the South Node, in this case the traditional ruler of Scorpio is Mars. Mars placement in your natal chart shows how you tend to react to keep yourself in the comfort zone of the South Node. It is also useful to analyze the aspects between the Lunar Nodes, Mars and Saturn. 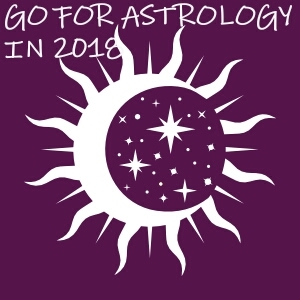 The North Node in Taurus invites you to gain your existence without the help of others, to use your talents and abilities gain in your past lives and to increase our well-being, to be the person who bring the most money to the family, because there is no one in the family better placed than you. To earn money, we must learn to promote yourselves, to show off in public, to talk, to promote and some of you are good at playing and singing, having a very nice voice. You like quality food, good wine, and the house to be beautiful and big, but all this can only be gained by your personal effort. Then you look at the ruler of the sign Node North, in this case is Venus. Placing the planet Venus in the natal chart shows how you tend to act to get out of the comfort zone by learning some outstanding lessons and make your own mission. It is also useful to analyze the aspects between the Lunar Nodes, Venus and Jupiter. The most important thing is to see these nodes as a single body and they should to be balanced in their manifestation. They work best together. The next month I will post an article about North Node in Gemini and South Node in Sagittarius and/ or North Node in third house – South Node in the ninth house.